Welcome to the website of MKB Art Studio! MKB Art Studio offers affordable, professional art classes to young people and adults ages 13 and up. Mindi K. Bagnall teaches college level art classes at Kalamazoo Valley Community College and has taught foundation classes at Western Michigan University. 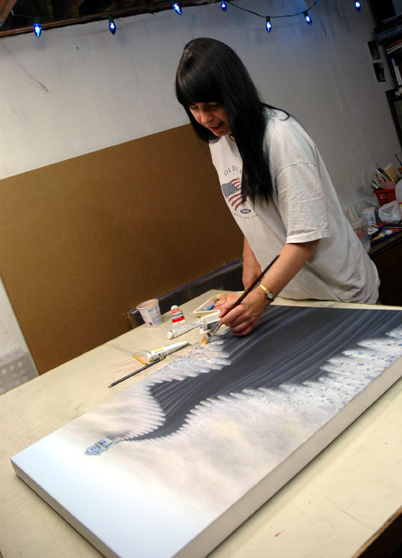 Mindi offers private or group sessions at her studio at the Park Trades Center. 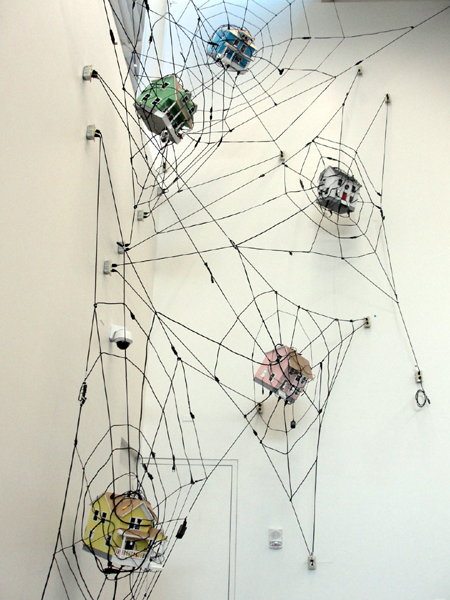 “World Wide Web” is an installation of small houses trapped in webs made of electrical cords. It is a commentary on our technologically saturated culture and our growing dependence on social media and electronic communication. We are at once connected and isolated as we embrace the convenience of doing everything from home. 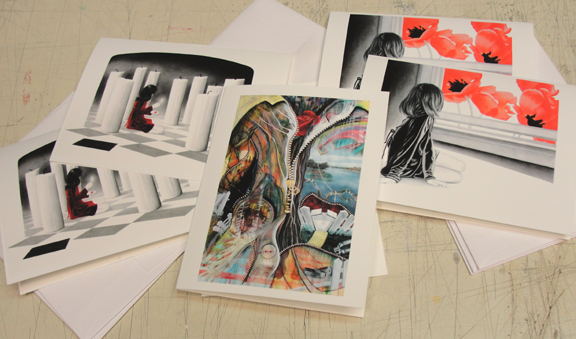 Now you can order notecards featuring images of original artworks by Mindi K. Bagnall! Suitable for all occasions, notecards from MKB Art Studio are a great way to send out thanks yous, keep in touch or just to let people know you care. Send a special note to a friend, or keep them as mini treasures! These cards are created using only high quality giclée printing with Epson inks and paper. When you order notecards from MKB Art Studio, you can mix and match images in your order: get any quantity cards of any image in our gallery – all at the same affordable prices. Contact us about special pricing for schools and charitable organizations.